In quest for a better life and democracy, these immigrants left their homelands for the West seeking freedom and equal opportunity for themselves and their children. These immigrants, as exemplified, for instance, by the prominent presence of nearly one million Americans of Iranian heritage in the US, are among the most law-abiding, most educated, and most affluent citizens, contributing immensely toward the US economy (in education, research and development, business and manufacturing, arts and civic service) and the advancement of the quality of life for the nation as a whole. The “Patriot Act” and its extensions and extrapolations, and the government programs such as wiretapping of communications as implemented by the National Security Agency, interrogations and imprisonments, etc., have further exacerbated their predicaments. Their US-born European counterparts, whose ancestors arrived just a few generations earlier, feel justified as they look down at their more recent compatriots with suspicion, discriminatory practices, intimidation, and even threats. As painful as it is, it must be put on record that US-born children of Middle Eastern ancestry are bullied by, not only by their peers, but also by their teachers in schools, while their admissions into colleges and professional schools and professional opportunities are increasingly jeopardized. It is painful to privately hear the stories in these immigrant communities of a systematic pattern of discrimination for jobs or promotions, simply because some in position of power feel these applicants are “different” and so guilty by association, at least. The federal leadership of all three branches of government, with heads in the sands whispers, “see no evil, and hear no evil.” Even though none of the millions of US citizens of Middle Eastern origin directly or indirectly have been implicated in terrorist activities against our nation, the collective punishment by ethno-religious stereotyping has been sufficient to try such populations in the court of public opinion. The nearly three million Iranians in Diaspora, particularly those in the US have had to face the unpleasant day-to-day feeling of being watched, interrogated, and discriminated. Deja vue all over again. Many Iranian, albeit Middle Eastern Americans now feel they have a much deeper, more sympathetic empathy with the Japanese American interments, and the persecutions of the German Jews leading to the Holocaust in the forty&apos;s.
The dilemma is practically the same, if not worse, among Americans with Arab, North African, and Indo-Pakistani heritage. This has in turn led to a self-imposed conscious decision of lowering one&apos;s aspirations, and retreating from a social environment in the society at large in despair. Ironically, the fear and apprehension from both the old and the new countries of origin lingers on. Notwithstanding the repressive system of government in Iran, for instance, there has not been a single terrorist activity against the West by an Iranian national in Europe or in the US although it is said opponents to the regime in exile have been on occasion assassinated by mercenary culprits overseas. Immigrants, due perhaps to their cultural values and inherent fear of authorities, unless it involves serious hate crimes such as homicides or suicides, would not voluntarily report discrimination, harassment, and outright face to face insults. So, such ordeals are only discussed among their innermost circles. Job related discriminations especially in middle to upper level positions, from industry to government, are prevalent. Given the high level of educational achievements of Iranian-Americans, there are a large number of applicants who have been manifestly qualified for GS-15 and SES executive government positions. Nonetheless, presumably because they could not receive top security clearances due to unspecified reasons beyond their control or knowledge, or due to their country of origin and perceived ethno-religious associations, they have been denied the honor of serving their new country. This is evident from a rather disproportionate number of university professors in the nation who have hardly gone beyond the faculty rank; they are almost non-existent in government ranks. In many other instances, such citizens would simply shy away from submitting applications for such “sensitive” positions, as they can predict the disproportionate rejections rate. Business owners in these communities are also adversely impacted. The US administration, along with its ideological allies such as the UK government, justifies the erosion of domestic civil and human rights at home on the basis that this is an essential element of battling terrorism. However, every indication leads one to reluctantly accept the fact that the new so-called, “the war on terrorism,” under the banner “spreading US democracy,” has now been institutionalized to replace the fifty years of cold war era confrontation with the former Soviet Union. This has in turn overcome the temporary strategy of the early 90&apos;s, when the military industrial complex found itself in a precarious state of survival. Besides, it is incumbent upon an open society to be capable of securing itself, while safeguarding the constitutional and civil rights of its citizens. The rapidly growing US military budget and that of homeland security fast approaching 600 billion dollars, the estimated cost of the military operations in Iraq and Afghanistan tallied thus far at nearly 500 billions and estimated to exceed two trillion dollars, has, in essence, mortgaged every American&apos;s life for the next few generations. It necessarily dictates a dramatic decrease in budget allocations for health, social services and education, which we have started to experience this fiscal year. This is just some of the factual data to remain gravely concerned about. The line between the citizens&apos; prime interests and those of the Anglo-American oil conglomerate is increasingly convoluted, but the public continues to pick up the invoice with no choice. Above all, the US and the global community are increasingly alarmed by the high cost of human lives in the Middle East that has so far led to the loss of life of 2400 young American soldiers and over 17000 injured, not to mention that over tens of thousands of Iraqi civilians have perished. Despite the quagmire of Iraq, the US administration and its allies have already begun beating the drum for yet another unilateral war against Iran, once again, under the pretext of [nuclear] weapons of mass destruction. This has again been perpetrated without having ever presented an iota of documented fact and evidence for such a nuclear weapon production scheme exists in Iran. In the true spirit of the American ideals, the commitment to Non-Proliferation Treaty and nuclear demilitarization by all countries of South and Southwest Asia, and North Africa, is the first step toward a truly sustainable geo-political stability, but that seems to be dodged at every turn. One can not argue with the fact that the current Islamic government in Iran that has been in place since 1979, when the Shah&apos;s monarchy was overthrown by the revolutionary forces, is indeed a repressive regime against its own population of 70 million. Violation of human rights (torture, imprisonment and executions), sham democracy, vote rigging, corruption and lack of transparency, cronyism, nepotism, and waste of material and human resources leading to brain and capital drain from Iran, have increased steadily since 1979. In view of these ironies, the Iranian people have searched for subdued innovative ways to confront the reactionary establishment. Paradoxically, the current US administration&apos;s misguided confrontational military and “smart” economic sanction threats against the Iranian regime will only be counter-productive in that it radicalizes the regime further resorting to desperate extreme means necessary for its own survival. By the same token, the aspiration of the Iranian people for justice and freedom, that has continued since 1906, when the first modern constitutional monarchy war installed, will once again be stopped. Those who do not learn from history repeat the same mistake. Back in 1953, a US coup led to the overthrow of the only elected Prime Minister, Dr. Mohammad Mossadegh, and the reinstatement of the escaped Shah as the absolute monarch, thereby violating the ratified 1906 constitution. Iranians did not remember this fact when they overthrew the Shah which led to the establishment of current regime, otherwise they would have better safeguarded the incipient democracy dearly. The potential US military intervention in Iran spreads more hatred against the United States nation in the Middle East, would lead to additional thousands of Americans and allied forces losing their lives, and expenditures amounting to yet another few trillion dollars to be covered by US tax payers, not to mention the possible loss of hundreds of thousands of Iranian civilians and the loss of the ideals of justice, freedom, and democracy, here and abroad. A self-sustaining democracy has as its prerequisite socio-economic independence. Otherwise, it will be more destructive to all parties concerned. Let us bear in mind that despite their modest slow progress, religious reformation and societal modernization adapted to indigenous cultures have been in the works in the Middle East, especially in Iran, for at least one hundred years. Western interventions are only impeding such natural processes in the region. President Bush uttered it so eloquently in his State of the Union address recently, when he said, “We are a nation addicted to oil.” And yet, his rhetoric on envisaging the promotion of alternative renewable energy resources came short of substantiating his “addiction” diagnosis, with an optimal prescription to remedy the disease. In retrospect, he was most probably leading the nation to capitulate to an all out exploitation of fossil fuels in our ecologically sensitive lands, leading to an environmental and human catastrophe of “biblical” magnitude. The US alone with 5% of the world population uses 30% of the annual energy and natural resources production. A comprehensive, nationally driven commitment to the development and expeditious substitution of fossil fuels with sustainable energy resources (solar, wind, hydrogen, geothermal, fuel cells) to relieve ourselves of suicidal dependence on foreign oil is, therefore, more urgent than ever in order to avoid the unprecedented global annihilation of humanity. 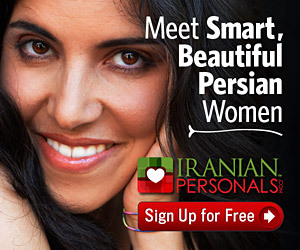 Professor Pirouz Azadi, a life-long naturalized American of Persian heritage, is a professor in New York, USA.